Education Minister Bennett says Hamas engineer won't be buried in Gaza until Israeli prisoners are returned home. 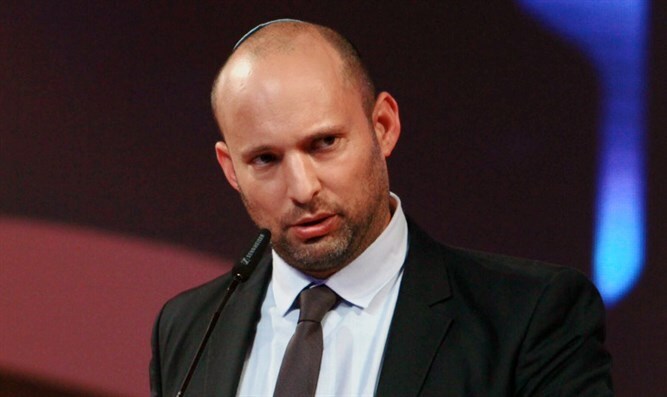 Education Minister Naftali Bennett (Jewish Home) on Saturday night spoke about the assassination of Hamas engineer Fadi Mohammad al-Batsh in Malaysia. According to Bennett, al-Batsh's body should not be allowed into Gaza for burial until the bodies of murdered IDF soldiers Hadar Goldin and Oron Shaul are returned to Israel for burial. Bennett also promised to bring the issue up on Sunday, during a Security Cabinet meeting. Hamas has been holding the bodies of Goldin and Shaul since 2014's Operation Protective Edge. Hearing Bennett's announcement, the Goldin family turned to Yaron Blum, the new coordinator for issues concerning missing and captive Israelis, as well as to Coordinator of Government Activities in the Territories Yoav Mordechai and Israeli Prime Minister Binyamin Netanyahu's Military Secretary Eliezer Toledano, demanding that the Israeli government not allow al-Batsh's body to be returned to Gaza, until the Hamas terror organization returns both the bodies of the IDF soldiers as well as the Israeli civilians believed to be held alive and captive in Gaza. The Goldin family also noted that that mourning tent set up in Gaza is clear proof of the fact that Hamas is waiting for an opportunity to hold a "media funeral." This event should be prevented, they said, until Hamas returns the soldiers' bodies and the Israeli civilians in accordance with international law. "We clarified to all those relevant that our clear and determined stance regarding the return of al-Batsh's body to Gaza," the Goldin family said in a statement. "We are convinced that Israel must discuss this issue with Egypt, and not allow the body to be returned to Gaza via the Rafah crossing. Al-Batsh, 35, was killed by two suspects believed to be European nationals with ties with a foreign intelligence agency in a drive-by shooting on his way to dawn Muslim prayers.